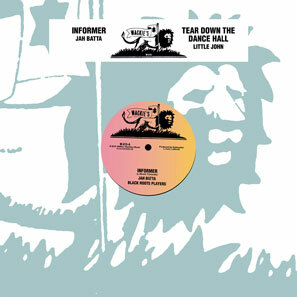 Two versions, different dubwise mixes of Sugar Minott’s massive Informer rhythm - both choca with living dancehall vibes and Channel One-style deadliness. A graduate of soundsystems like Gemini and Volcano Hi Power, Little John was twelve years old when he voiced this tune, shifting its sights from snitches and stoolies, straight to the head of all dancecrashers. It appeared in 1983 during Sugar’s stay in London after Good Thing Going was a national pop hit in 1980, coming on the Stoke Newington label M & M - presumably named after Minott and his then-partner, Coxsone Dodd’s niece Maxine Stowe. 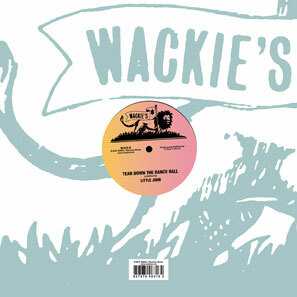 Appearing first with Wackies’ pink-to-orange labels, Batta’s cut is a different mix again to the version on his album. He bows to U-Roy at the start, before switching to a more contemporary delivery. Sugar is in attendance throughout, almost as if the pair were taking turns at the mic, before the dub takes over.